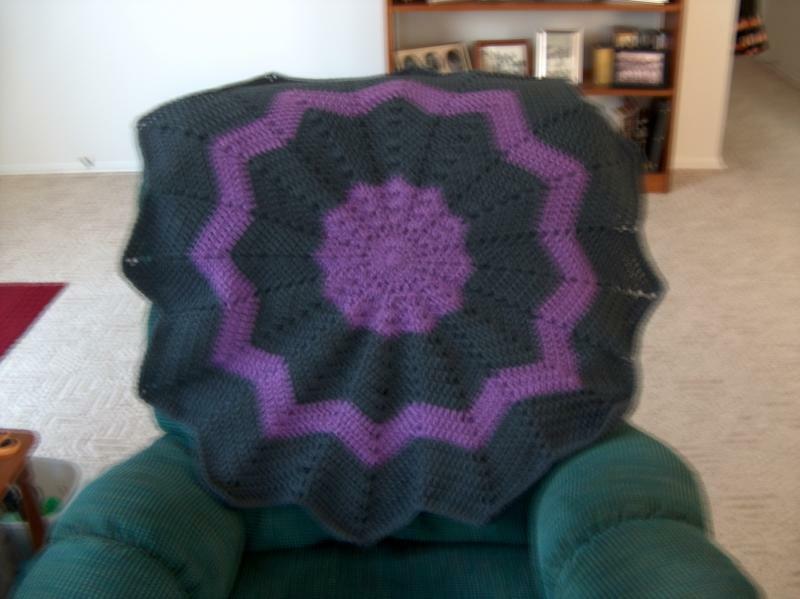 Can I just say I think you are completely brave (or utterly out of your mind) for doing that much black in an afghan?! lol. Only because my eyes would HATE me. Black has to be my least favorite color to work with. 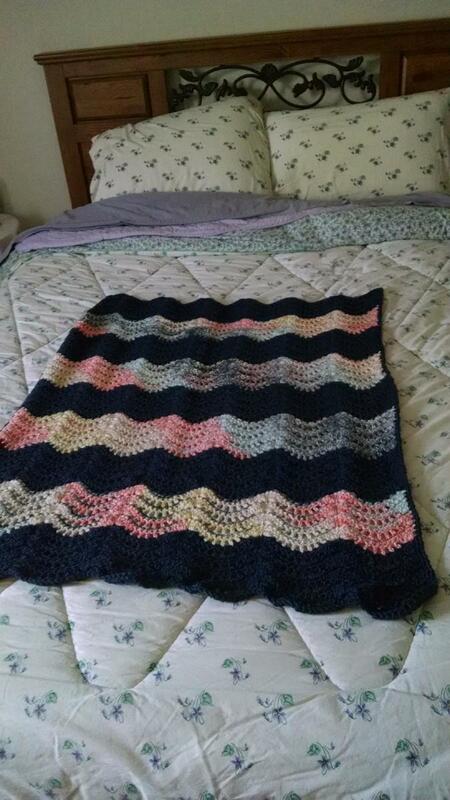 The afghan turned out beautiful! Not just the black yarn--it must have been like wrestling a bear at the end! Yes, it was huge and heavy. My first afghan of 2017. 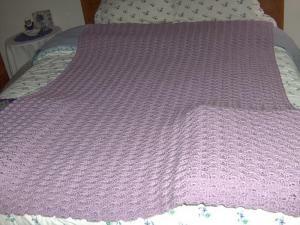 Finished on January 30 - the goal was to have it finished by the end of January. Whew!!! Shown on a queen sized bed. Can I just say I think you are completely brave (or utterly out of your mind) for doing that much black in an afghan?! lol. Only because my eyes would HATE me. Black has to be my least favorite color to work with. Black is MY least favorite color yarn to work with also!! Last November, I had a lady order TWO black shawls!!! I tried to talk her out of it, but she remained adamant that they MUST be black! So-o-o-o-o I made 2 black shawls! When I delivered the second one, she informed me that she'd told me white!!! Fortunately, I had a witness to the "order", so she went ahead and took it!! Next time I'll get in down in writing!! My second afghan for 2017. 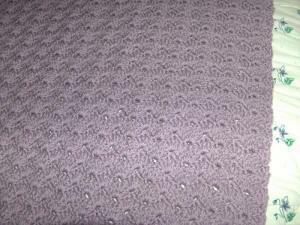 It is a shell stitch - which doesn't show very well in the pictures. It is done in RHSS pale plum. 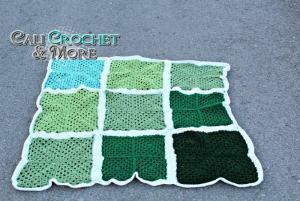 Next on my hook is a round ripple baby afghan. 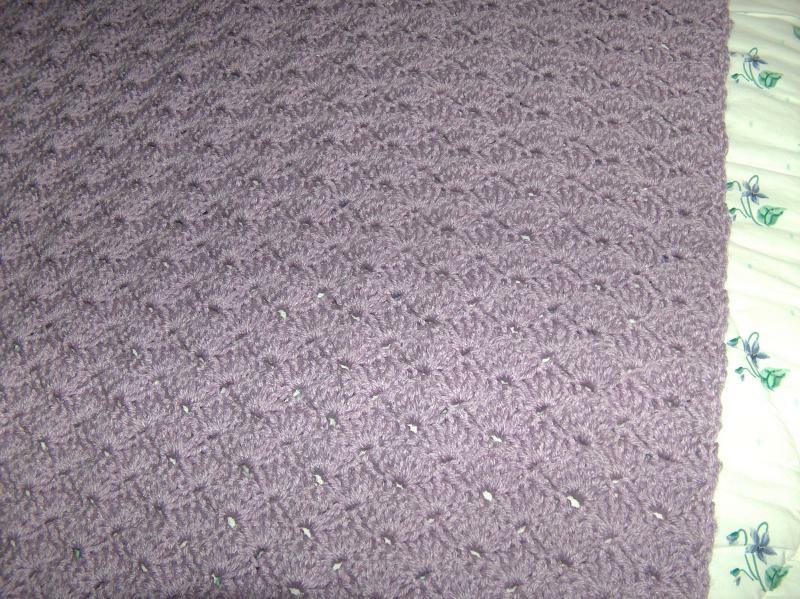 Pretty color and stitch pattern! 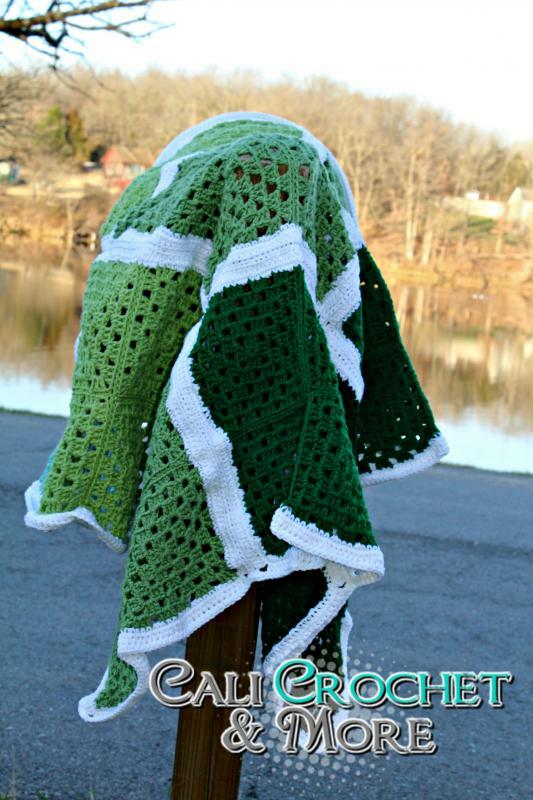 The third afghan of the year. A round ripple baby afghan. Debbie, your afghans are beautiful. Finally got the faces on my toast and gudetama lapghan! Love it its so cute and cuddly. 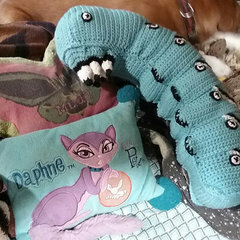 Another lapghan just finished. I really like the round ripple pattern. A lady from Dartmouth College messaged me on Etsy asking if I could make a custom afghan with her departments logo. 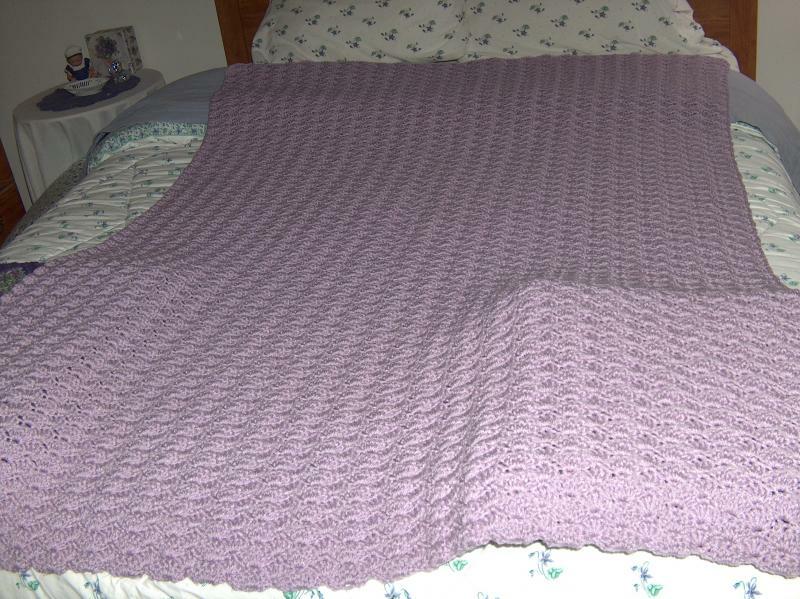 She said the logo was practically designed to be a blanket, so I did! Colors don't match up 100% but she's okay with that. FINALLY got that goose egg gone out of my afghans this year! 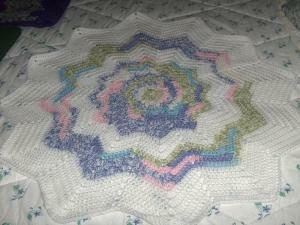 My latest afghans. The red and green was for a CAL. 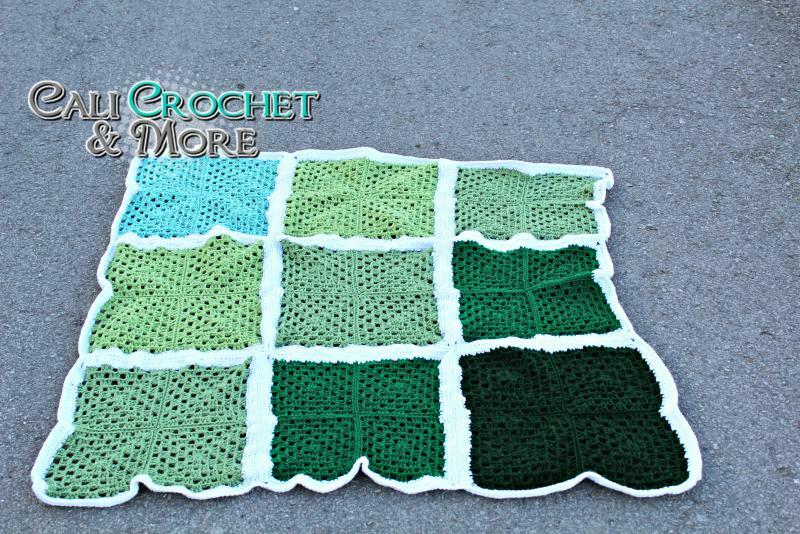 The mango and white is a baby afghan for a craft show I will be doing this November. I love the red and green. 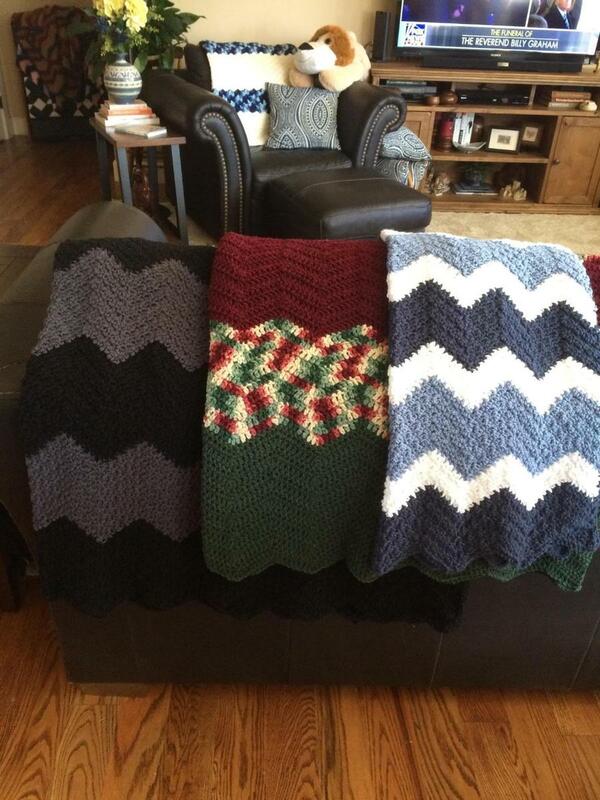 We have a grandchild due in December and I want to do a blanket in Christmas colors. I've been looking at a similar pattern but I think yours is prettier. 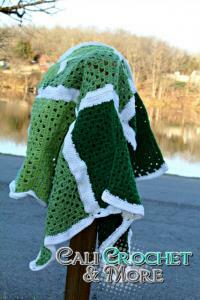 Here are a few more afghans finished over the last couple of months. I keep forgetting to post them to this thread.